I have often wondered if Bollywood is being given more importance and following than logically due to them. Its sad for any cultural ethical populace more so for one as big and ethically rooted as India, when we start treating scripted heroes and stories as our role model. This praise has gone to their heads for sure. Most recent entrant for hurting religious sentiments and making a mockery of country's legal judgement system is Welcome Back directed by Anees Bazmee, and produced by Firoz Nadiadwala . It features Nana Patekar, Anil Kapoor and Paresh Rawal reprising their roles from the prequel Welcome in 2007. John Abraham and Shruti Haasan are new additions to the lead cast. The film is scheduled for a release soon. This move has garnered fierce criticism from many people. Film's you tube comments section is overflowing with shock and outrage over their insensitive attitude. If you feel protesting, please drop them a message here requesting them to respect their country's law. Many people protested and called the production house to register their complaints. 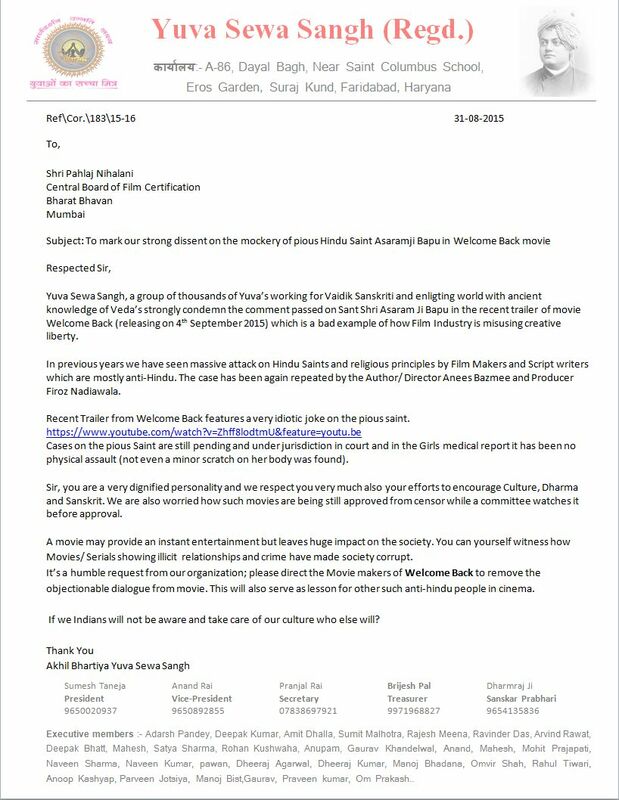 YSS formally went in to meet and solve the issue amicably. 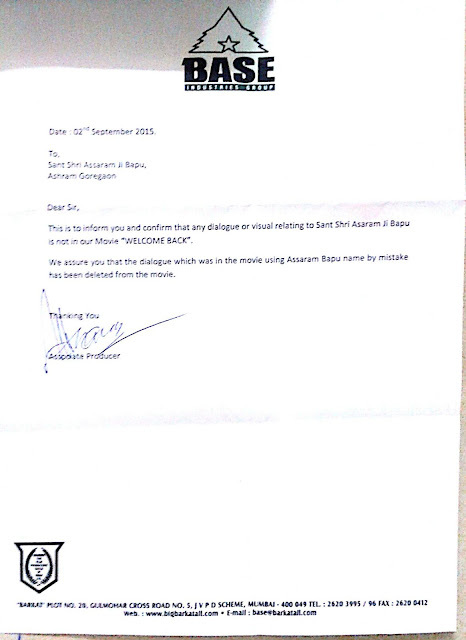 After a flurry of calls, social outrage and personal visits to production house, they wished to play it safe and removed the dialogue from the film. We congratulate everyone including the producers for it. 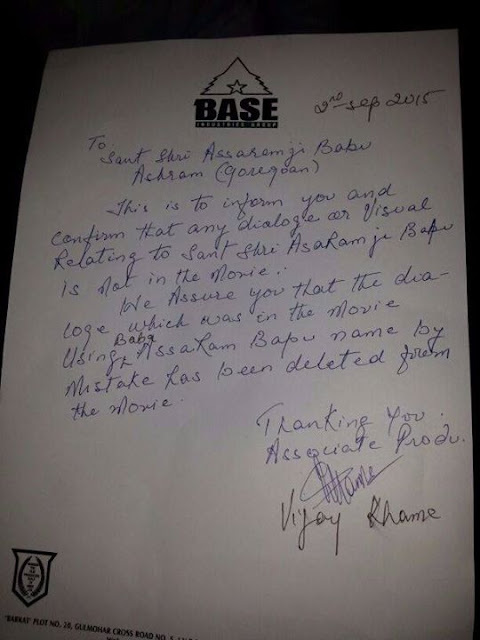 Associate producer of the film gave his regret note in writing, a copy of which is reproduced below.